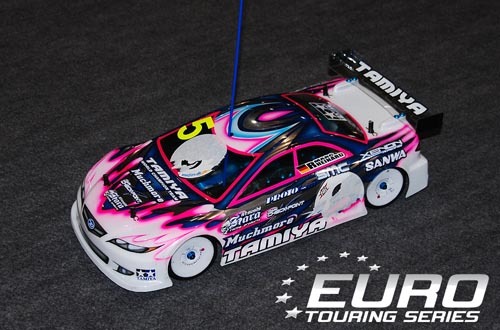 A Tamiya is guaranteed to start the second round of the Muchmore backed ETS in pole for tomorrow’s Modified A mains, but which driver it will be will not be decided until tomorrow morning’s final qualifier. As today’s action comes to a close it is Jilles Groskamp who holds the overnight TQ but victory in the final heat today for team-mate Marc Rheinard means the German has the chance to deny the Dutchman the No.1 starting position. In Pro Stock things are even closer with Nicolai Nielsen and Corally driver Rasmus T. Callesen equal on points but it is the Serpent driver that will go to bed tonight holding the top qualifier position thanks to his blisterly fast 20 lap run in round 3. Palle Hornum and Dutch visitor Ronald Arts look set to start from the second row for the Pro Stock A Mains as they hold 3rd & 4th respectively in the standings overnight. Axel Thoms holds the No.1 spot in the Hobby Class but the competitiveness throughout the classes here today means he to could be demoted in the morning by Lasse Schol. The Final round of Qualifying gets under way at 10:00 CET and once again we will be bringing live coverage as the day unfolds. 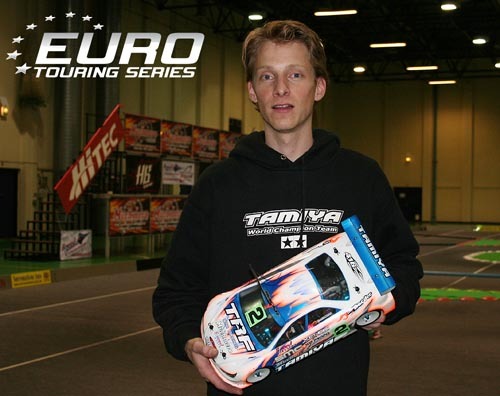 Jilles Groskamp continues to rule proceedings here at the European Tour Series Round 2 making it three fastest runs from as many heats to maintain the provisional TQ position with his Speed Passion powered Tamiya. 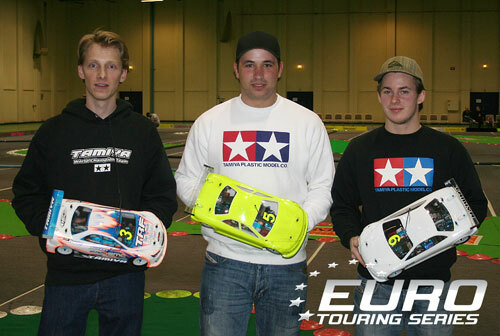 Round 3 was to prove a slower run for Groskamp and his two team-mates but for Kyosho’s Steen Graversen the heat was his fastest so far as he finally joined Groskamp, Rheinard and Wilck on 22 laps. 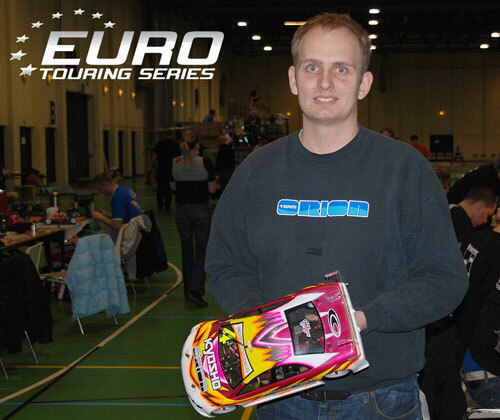 In Pro Stock Nicolai Nielsen became the first driver to break 20 laps with his Serpent S400 as he took his first heat victory in the third run but with Rasmus T. Callese having won the opening two heats he still remains on target for the TQ spot. Alex Thoms heads qualifying in the Hobby Class with two heat victories to his credit with Lasse Scholt provisionally holding the second spot on the starting grid for tomorrow’s 3 leg finals. 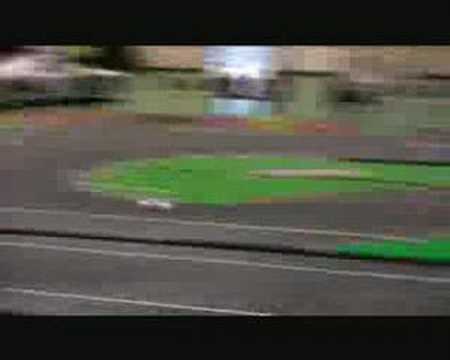 A video from the 2nd round of modified qualifying in which Jilles Groskamp goes fastest. The Tamiya factory team are really showing the rest of the field the way around the track here in Denmark as their TRF416 recorded the fastest three times in the second round of qualifiers. Jilles Groskamp once again set the fastest time bettering that of the first round to head home Marc Rheinard by just 7/10th with Viktor Wilck making the full 5-minutes this time with a impressive run that puts all three TRF drivers out on their own on 22 lap runs. 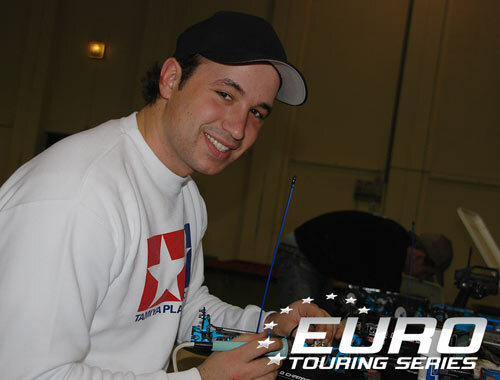 Holding third at the moment in terms of points is Kyosho ace Steen Graversen who has the pace to mix it with the Tamiyas but for a few small errors. 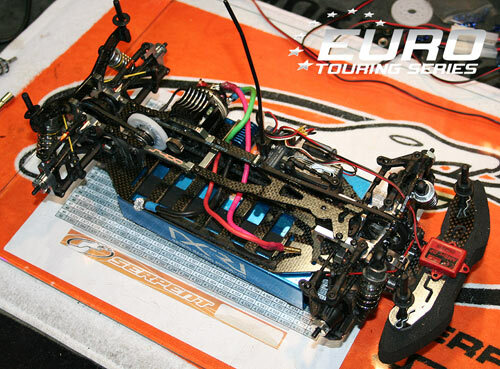 Team Associated’s Joel Myrberg continues to have a difficult event. The Swede has a problem with his TC5 which he is unable to identify and is now considering building a brand new car over night to give himself a chance of being competitive tomorrow. Here is a video of the first round of modified qualifying with a post race interview between Scotty Ernst and Jilles Groskamp at the very end. 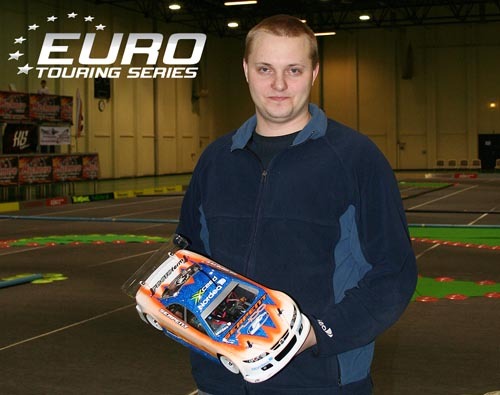 Jilles Groskamp took first blood in qualifying for the second round of the European Touring Series as he was the only driver to break 22 laps here in Vejle. 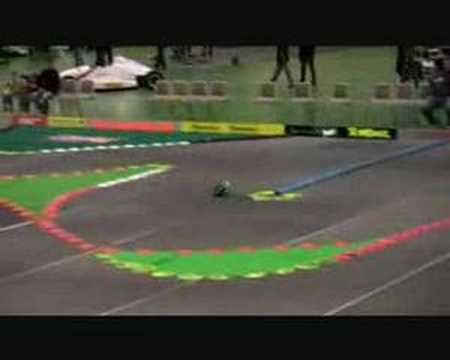 Groskamp took the provisional TQ spot from Tamiya team-mate Marc Rheinard with Steen Graversen, who was on target for the pole before making a slight error, clocking up the third fastest time. Groskamp, Rheinard and Viktor Wilck are showing great team work here this weekend as they each try different set-up options each time they hit the track. Unfortunately for Wilck, who looks very quick, his cells dumped in the dying minute of his run. In the Pro Stock, Rasmus T. Callese did a great run to win the first heat and so provisionally holds the pole with his Corally over Palle Hornum and Nicolai Nielsen. After two rounds of Hobby Class qualifying it is Lasse Scholt that holds the points advantage having finished second in Heat 1 beforing going one better in the second. Heat 1 winner Axel Thomas could only take fourth second time round and drops to second for the moment but with the best 2 results of the 5 heats to count its still wide open here at the Much More backed event. Practice has come to a close here at the second round of the European Touring Series and only time will tell which drivers have found the ideal set-up as cars are now got ready for the serious business of qualifying. On current timing information the Hobby class looks like Axel Thomas will be the man beat as he recorded both the fastest 5 minute run and individual lap time for the 27T class but Poul Damgraad, Evan Jepsen and Mikkel Kirsbak will be out to prove otherwise. Despite feeling a little off today Nicolai Nielsen heads the Pro Stock field with his Serpent S400 closely followed by fellow Danes Palle Hornum and Rasmus T. Callesen. 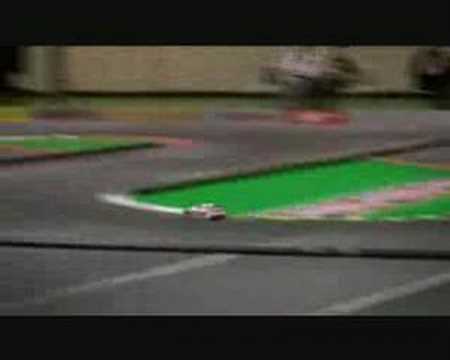 With all three drivers at the controls of different chassis’ and running in the same qualifying heat, it will be interesting, especially with Scotty Ernst providing the commentary. In Modified things couldn’t be closer with Viktor Wilck and Marc Rheinard both posting identical fastest laps times with Jilles Groskamp just 1/100th of a second behind. 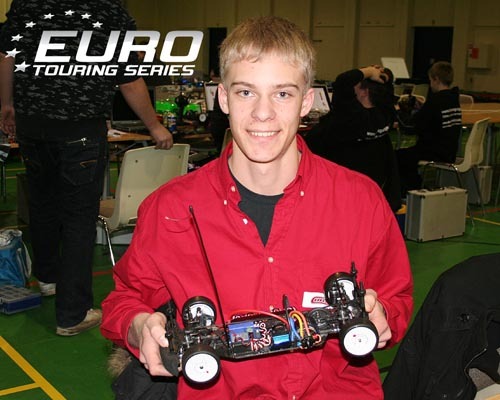 Also up there in terms of lap times is local star Steen Graversen who is the highest placed non Tamiya driver with his Team Orion powered prototype Kyosho chassis. Top Associated team driver Joel Myrberg appears to have a bit more work to do managing only to post the 10th fastest time . Four rounds of qualifying now awaits the drivers this evening, with a fifth scheduled for tomorrow morning. 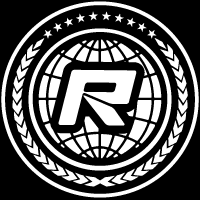 Check out our image gallery here and you can view the current updated results in the right of this page, just below the sponsors logos. Here is a video from the 3rd round of the Pro Stock practice which features lady racer Emma Lundgren as well as Rasmus T. Nielsen and other action from the 4th heat.